While there are at least five cool things coming in iOS 11.4, they may not be enough to get you to install the iOS 11.4 beta on your iPhone. Since its initial beta release at the start of April, there have been plenty of known issues and user-reported bugs to deal with. While bugs are to be expected with a beta, you may want to read these before installing this one on your iPhone. Currently, we're running the sixth 11.4 beta, and expect the seventh to drop any day. To see all of what was new for each beta release for iOS 11.4, hit up the following links for our coverage. Otherwise, keep reading to see all the issues the iOS 11.4 beta has, as well as all the problems it did have that eventually got fixed. While Apple may only list a handful of known issues in their release notes, developers and beta users keep tabs on the ones that the company doesn't talk about. There are usually plenty of issues with beta releases, but seeing as beta 6 introduces no new fixes or features, the bugs we still see sting that much more. 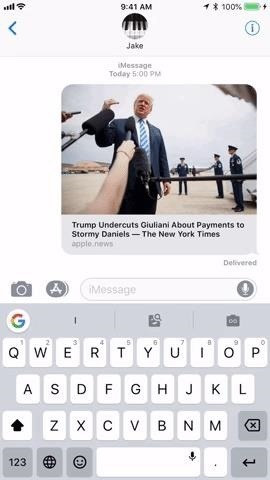 In beta 3, it was discovered that 3D Touch does not work on Apple News links in iOS apps. Peek and pop fail every time, which can be frustrating to users trying to preview these links. No attention from Apple on this bug thus far. According to users from MacRumors, perspective wallpapers no longer function as they should. On iPhone X, they don't move at all. And that's not just for the beta — the problem persists on iPhone X's running iOS 11.3.1 as well. It's possible Apple will release a minor 11.3 update to fix this widespread bug, but it seems more likely the company will aim to solve it with the official release of 11.4. If you try to capture a movie or TV show in the TV app with Apple's built-in screen recording tool, you're out of luck — the picture goes black, leaving only the audio, or the video won't play at all, instead presenting you with an alert that the content is "protected" and can't be presented. Now, that makes sense for DRM-protected content — you can't use screen recording while watching this type of media, even outside of the beta. What's weird is you can't record home videos in the TV app either. Unless your home video is The Avengers, that doesn't make any sense at all. While this was first pointed out as an issue in the fourth beta for 11.4, just as with perspective wallpapers, this also appears to be a problem in iOS 11.3.1. As of beta 4, it seems users cannot delete attachments in message threads. In our experience, you can tap "Delete Attachment," however, nothing happens afterward. The Do Not Disturb bug also persists. 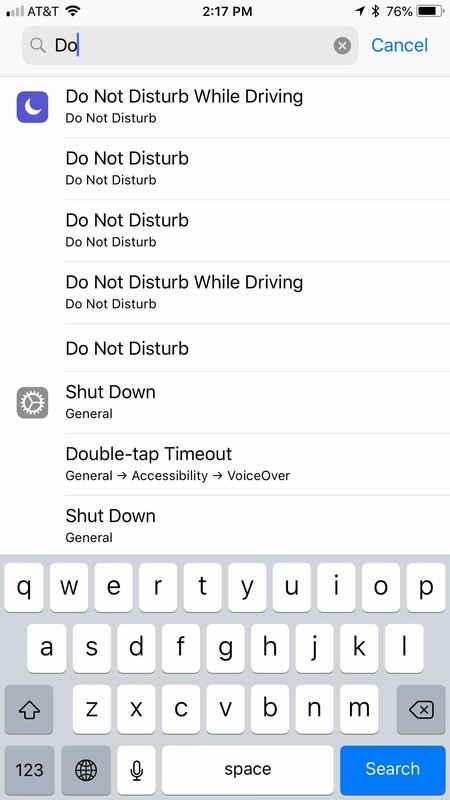 If you search "Do" in Settings, you receive many of the same results for Do Not Disturb. This bug also affects other settings, but not to this degree. How it looks in iOS 11.4 beta 3 (left) vs. older versions (right). For those of you who are actually developers out there, when beta 1 was released, Apple issued the following "Foundation" known issue with a workaround. It has not been fixed yet. Another one mostly for developers, Apple issued the following "Vision" known issue. It has not been fixed yet either. Yet another issue developers should know about, Apple issued the following "Xcode" known problem, which has not been fixed yet just like the others above. Continuing with "Xcode" known problems, the following has not been fixed yet either, and was first noticed in beta 1. With 32 upvotes, this issue seems to be one of the largest on the subreddit iOSBeta. User oneajs shared their experience of an occasional unresponsive touchscreen, with five commenters of various iPhones complaining of the same issue. While this issue was presented to us with beta 2, one commenter claimed their iPhone X was unresponsive starting with beta 1. Watch out for this one. We have not experienced this issue firsthand. 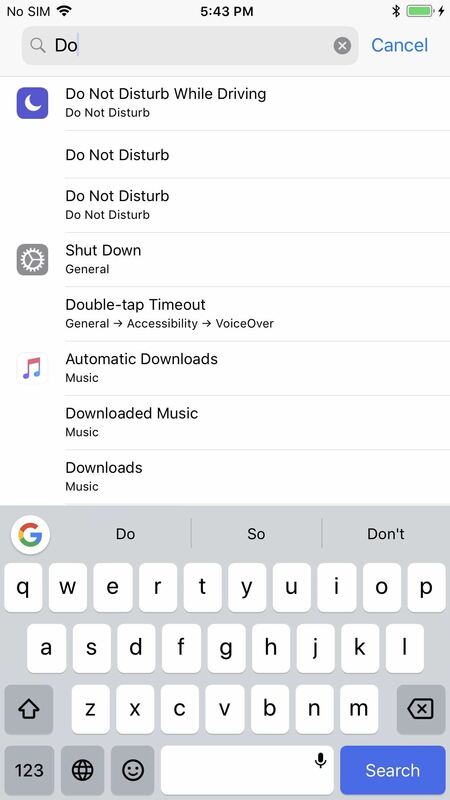 As of beta 2, it looks like 11.4 could be causing some lag when you type — Reddit user hmpm0 reported a laggy keyboard on their iPhone 6. Five commenters backed up hmpm0's claims, so you might want to look out for this one. Multiple users corroborated a Siri issue in beta 2 where the iOS assistant could not work with "Clock" — the original poster, u/KingofDamnation, could not get Siri to set a timer, while another commenter failed to set an alarm. While first seen by us in beta 2, according to the commenters, this bug has been around for a while. Originally posted by sleepinzombie, the bug cuts off the bottom piece of the Apple Music play box on the lock screen. Commenters joined in to vent their own frustrations, some even claiming to have experienced the issue since iOS 11.2.6. 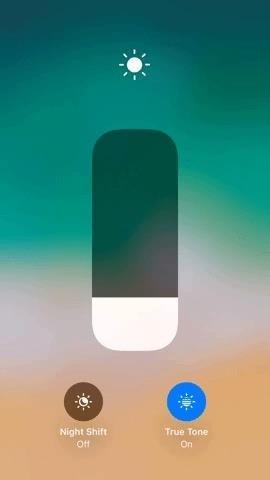 If you have "Hide Notification When Locked" enabled, listen to this — mm0nam posted an image back when beta 2 released, complaining iOS would still display their notifications on the lock screen with this setting enabled. Now, it's not all bad. Apple has managed to fix a handful of issues with their beta releases. Eventually, some of the issues listed above will move on down to this section. In a perfect world, the only thing left in this article would be this resolved section, but this isn't a perfect world. The "Black Dot" bug exploded online when it was discovered that the Messages app could crash and lock up a user tapped an innocent yet malicious Unicode black dot. The black dot actually contained such a large amount of invisible characters that iPhones could not process the data once the dot had been tapped, rendering the Messages app totally useless. While there were workarounds should you be affected, Apple issued a fix in 11.4 beta 6. Oddly, the company did not issue a fix for users running the official build of iOS, which is currently on 11.3.1. Those users are still susceptible to the bug and presumably will be until the official version of 11.4 is released. There used to be a delay with the icon in Control Center's volume slider. If you changed the volume, it took the icon some time to adjust to reflect the new volume level. It was an odd bug and not the first time the volume slider has presented issues in beta releases. Delay (left) vs. no delay (right). Interestingly, the display brightness slider did not have this issue. It changed as the slider and brightness did. These issues with using AirPlay with YouTube came out in the very first iOS 11.4 beta, but was quickly patched in beta 2 by Apple. Just as with the AirPlay bug, this issue was found in the first iOS 11.4 beta, but Apple fixed it by beta 2. This beta 1 bug was squashed by beta 2, so no need to worry about it anymore. 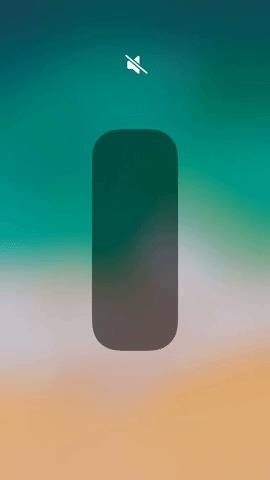 Introduced with iOS 11.3, this bug would cause 3D Touch to become unresponsive after unlocking the device. While the problem fixed itself after a few seconds, it was a strange and sometimes irritating bug nonetheless. Luckily, Apple fixed it with beta 3, so there's one more reason to download it. Look, there are plenty of problems with the 11.4 beta, some bad enough to keep you from downloading. However, when you compare where we are now to where we started, it could be a lot worse. Betas 1 and 2 were rocky, to say the least — not only were the problems they introduced annoying, there was a major usability issue to contend with. The performance was bad, with a laggy UI, slow loading times, and an overall sense of bugginess — just look at the issues listed here! Users were not happy, even with beta 2 fixing four major issues found in beta 1. Beta 3 changed the game, however, bringing to the table was a less-buggy experience. All the minor fixes Apple applied to beta 3 transformed 11.4 and made it something to be excited about. Don't get us wrong — beta 3 had issues of its own, as can be seen above. However, it was the refreshing jumpstart that iOS 11.4 desperately needed. As it stands in beta 4, iOS 11.4 is far from a beta tester's dream, and probably not the best sell to get people on the beta. With no new fixes and the introduction of new problems, this current beta feels like an odd step, considering the progress we thought was being made. On the other hand, usability does not appear to be as bad as it was at the start. By beta 2, overall performance was so laggy and weak that you might consider uninstalling the beta altogether. Beta 3 smoothed over many of these problems, and that general idea carries over somewhat to beta 4 and the following betas. While this might not be the update that gets you on the beta bandwagon, it isn't a reason to downgrade to 11.3.1 if you're already running it. Let's just hope beta 7 introduces more fixes than it does problems.